"I call free jazz a liberation technology, and it’s very essential to anything that I make. It has to have that conductor running through my music for it to be successful, or for me to get across the point that I want to get across. 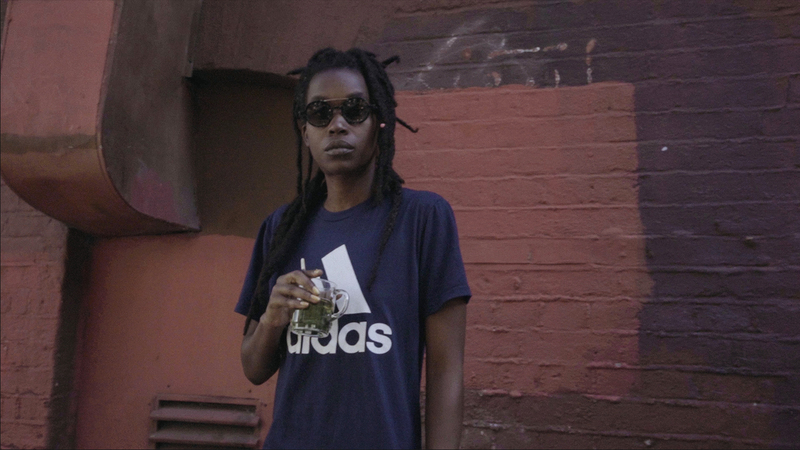 Philly-based noise artist, activist and wordsmith Moor Mother curates her very own program at Le Guess Who? 2018. We recently caught up with her in London, before a performance at Café OTO, to discuss free jazz, writing political songs, and putting Saul Williams and King Britt together for a special collaboration as part of her curation. Watch the video portrait below. Moor Mother recently also put together a personal playlist for her curation at Le Guess Who? 2018, highlighting some of her favorite tracks of each artist she invites. "Musicians really breaking their own pressure point or so-called limitations, and just being authentic. That was the thread that I wanted to have running through the curation." Moor Mother's curated program at Le Guess Who? features Art Ensemble of Chicago, Saul Williams & King Britt present 'Unanimous Goldmine', Emel Mathlouthi, Nicole Mitchell, Irreversible Entanglements feat. Pat Thomas, RP Boo, GAIKA, Pan Daijing presents: 'Fist Piece', FAKA, LYZZA, Beverly Glenn-Copeland, MAJA S.K. Ratkje, Islam Chipsy & EEK, 700 Bliss, Maria Chavez, Ras_G & The Afrikan Space Program, DJ Haram, and Eartheater. Special thanks to Café OTO, Pat Thomas, and Elaine Mitchener.